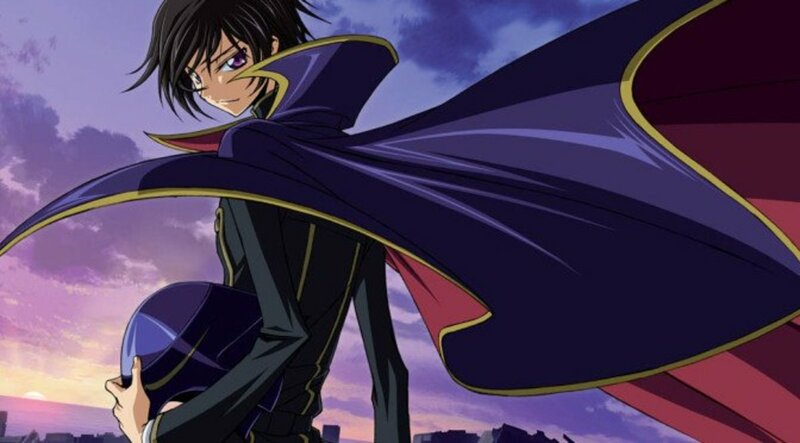 Lelouch continues to resist the Empire of Britannia as his conflict with Suzaku continues to escalate. 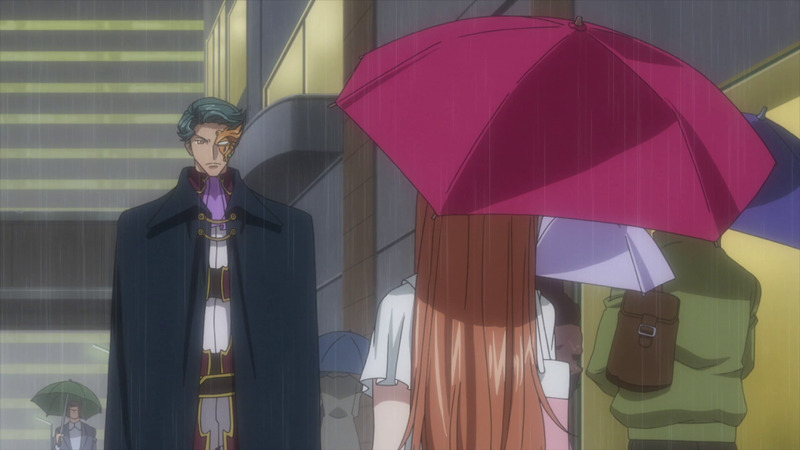 His interactions with Princess Euphemia have dire consequences when his Geass power goes out of control. 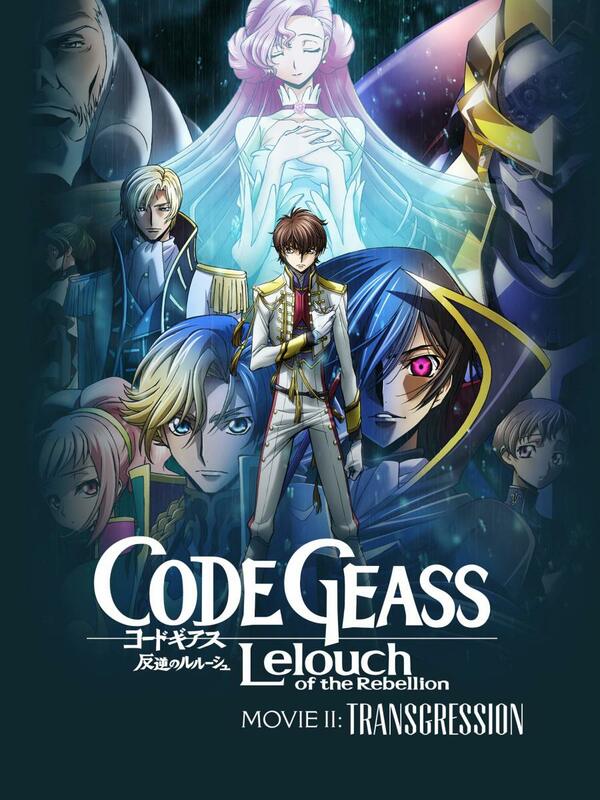 The Code Geass movies are recap movies of Code Geass: Lelouch of the Rebellion R1 and the beginning of R2, the second season. 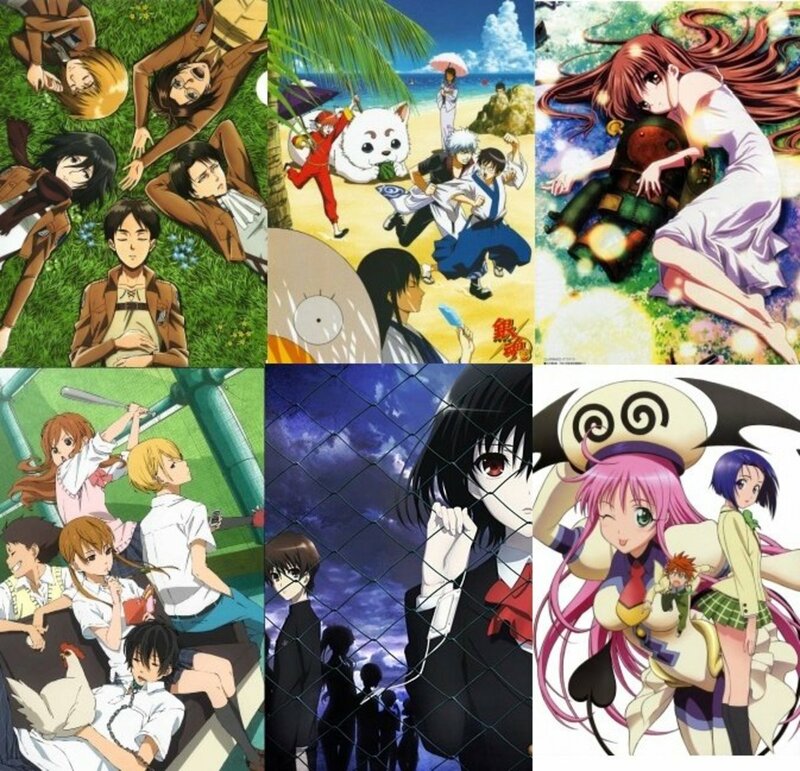 The anime compresses the latter half of the first season and cuts a great deal of content in regard to the episodes covered. While I still enjoyed the movie, I feel it is the weakest entry of the trilogy since it's the middle act and they’ve cut a big chunk of content. This film will be utterly confusing and incomprehensible to newcomers because there is so much cut content. The film is still fun for me as a fan, but this was not a newcomer-friendly experience. It still has great production values despite being a recap film. 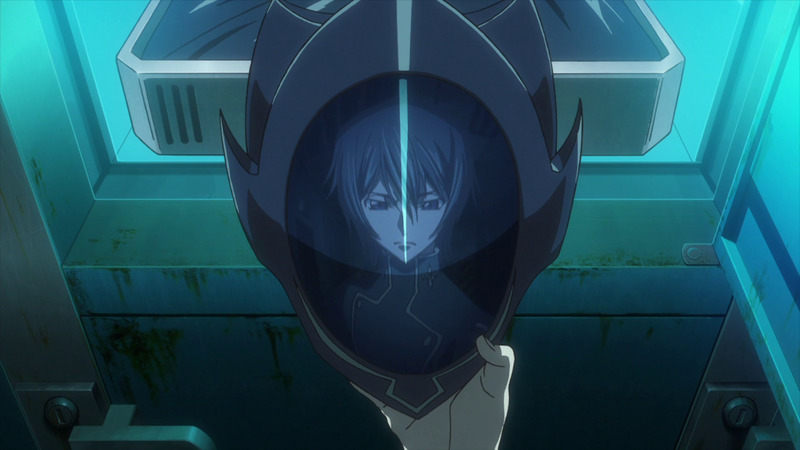 The changes in the Code Geass movie trilogy are significant enough to affect the story of Code Geass: Lelouch of the Re;surrection (2019), since Shirley Fennette’s fate is very different than in the anime series. Fans that have only watched the anime series and skipped these films will be very surprised if they just go into the new movie without knowing the changes that the creators made in retelling the story. 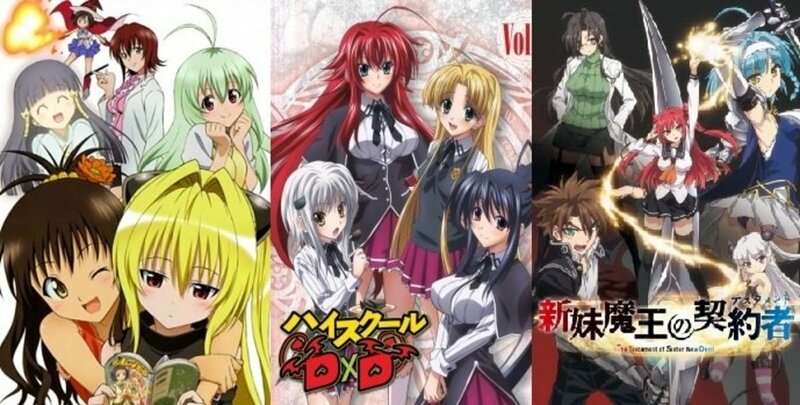 The changes to exclude the arc with Mao changes Shirley’s character as well and it’s very apparent if you’ve watched the anime that Shirley’s character lost a lot of her development that made her a very interesting character, but what they did for her instead might make fans of her character very happy with the result, especially if you’ve watched the anime. The animation for the Code Geass anime films still looks good despite most of it being over a decade old, but the CGI has definitely aged. The new animation, while there isn’t a whole lot of it, is still jarring, especially since it’s noticeable in how the animation quality of the new footage is much better than the old footage. The animation still looks good despite how old it is, but it probably would have been more consistent if they had just reanimated the entire film and not just used footage from the anime series. It’s not bad, but it could be less jarring when it came to the new footage in the anime film. A new scene for the recap movie. The Japanese Dub is Fantastic! Jun Fukuyama does a fantastic job as Lelouch Vi Britannia. 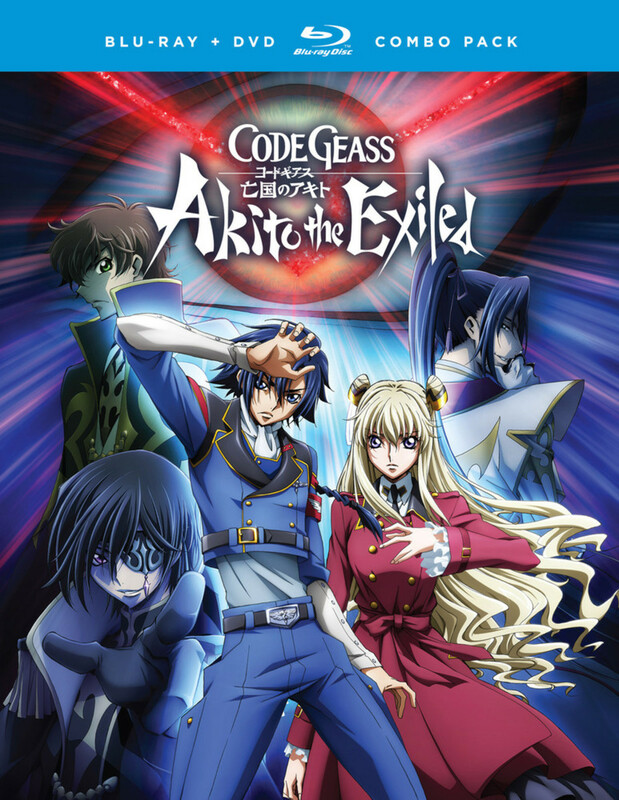 I’m having a blast watching the English subtitled version since I have never watched Code Geass in the original Japanese before, so these films are a lot of fun for me. Takahiro Sakura does a great job as Suzaku Kururugi. He goes through all the emotional highs and lows in this film and his voice acting was top notch, especially on the emotional lows for what his character faces in the story. Ami Koshimizu did a fantastic job as Kallen Stadfield. Her role is still significant but they did cut some of the episodes that developed her character but you’ll only know that if you have watched the original anime. She was great in this anime and I really enjoyed her vocal performance. Yukana did a great job voicing C.C., pronounced “C-2”. She was great in this film and I liked her voice work. Fumiko Orikasa did a great job as Shirley Fenette. Her role was compressed for the movie and her role is much smaller in the movie than in the anime series. She is a very good voice actress. Ken Narita did a fantastic job as Jeremiah Gottwald. He was wonderfully hammy in the first anime film. He was fun in this anime film and I really enjoyed him in this role. The Japanese dub is fantastic and it is fun to watch, with great performances and I really enjoyed it. It’s a great dub and if you like watching subbed anime, you’ll love this dub. Hitomi Kuroishi and Kộtarộ Nakagawa do a fantastic job composing the music for this film. Hitomi Kuroishi and Kộtarộ Nakagawa did a great job on the soundtrack. They have reused a lot of music from the anime series, but it’s still nice to listen to. They reuse many songs from the anime series but the new ending song is “The Moon” by Sakura Fujiwara. It’s a very nice ending song. It’s not one that really blows me away but it is a nice song. Overall, the soundtrack for the movie is very well done and it fits the film very well. 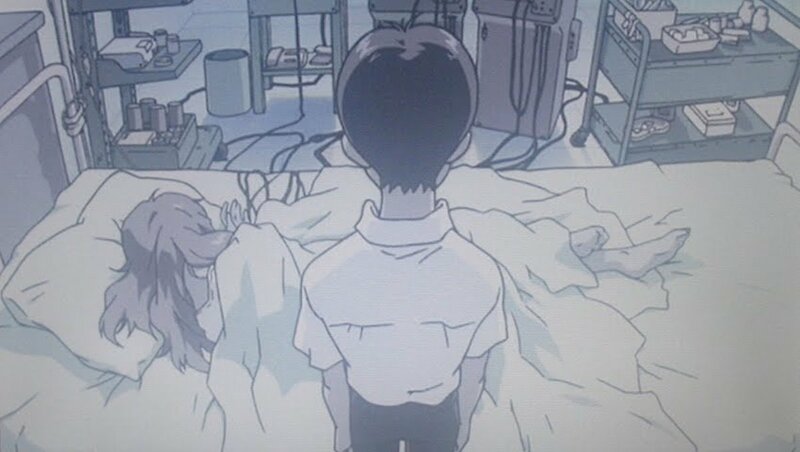 Shirley Fennette's fate is drastically different in the movie than in the anime series. Will you buy "Code Geass: Lelouch of the Rebellion: Movie II: Transgression (2018)"? Yes, I'll buy it on blu-ray! Yes, I'll rent it or borrow it from the library! If you haven’t seen the original Code Geass: Lelouch of the Rebellion (2006) anime you will be very lost and confused since Sunrise decided to cut even more content out of the second film than the first one. Combine that with the new changes to the story that completely changed certain things about the story that is drastically different than the original anime and the changes only matter to fans of the original anime and not newcomers. The anime film isn’t comprehensible to newcomers because there are so many episodes that were cut from the film. Skipping several story arcs leaves newcomers confused because they can tell something important happened but they couldn’t see what happened because they didn’t show it. Code Geass: Lelouch of the Rebellion: Movie II: Transgression (2018) is the weakest anime movie in the trilogy because the removal of several episodes from the anime movie that are important to the plot because they have character development that is now absent because the scenes are gone. The story is nearly impossible to keep up with if you haven’t watched the original anime. The story isn’t perfect but I still love it, but it is hurt by all the cut content from the film. Code Geass: Lelouch of the Rebellion Movie II: Transgression (2018) is an imperfect anime film, held back by the decision to cut a lot of content in the original anime that developed some of the characters. They compressed too much of the second series for some events to have the same impact they did in the anime and that does hurt this anime film whether or not you’ve had experience with the franchise or not. Skipping entire arcs in the anime didn’t help the story, it hurt the story despite trying to fix things and make it easier to digest the anime in a compressed anime film format. The Code Geass movie trilogy is a good trilogy of movies, but it’s not worth your time to buy it unless you’re a diehard fan of the franchise, it’s a very expensive movie trilogy to buy and since it’s nearly $41.95, it is a lot of money to put down for three movies. This second film isn’t the film that is worth buying this trilogy for. While the first film Initiation is a decent recap film, the second film has more issues because of writing decisions; it’s still an enjoyable film. It’s not bad by any means, but it’s the weakest and between all three films, the third film Glorification (2018) is the best of the Code Geass anime recap films. This movie is still fun to watch, but it’s not the best anime film I could ever watch, it’s still a decent film to watch, but Code Geass: Lelouch of the Rebellion: Movie II: Transgression (2018) is the weakest of the trilogy, but it is only meant for the diehard fans of the franchise. It might be worth your time, but not necessarily your money. Because it is expensive, I can’t really recommend buying it new. You could buy it used and it might be cheaper. 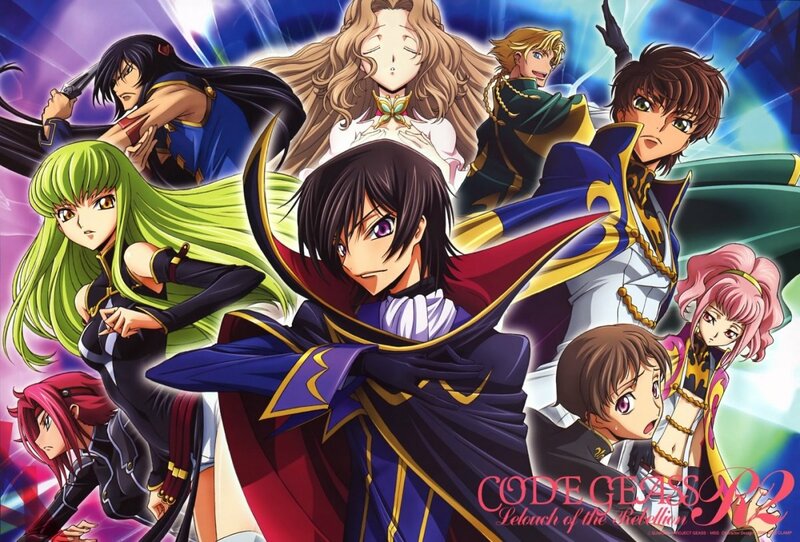 The Code Geass: Lelouch of the Rebellion (2006) anime series is the superior version that you should watch instead of starting with the anime film trilogy. I will recommend that over the anime movie trilogy. It is an enjoyable film and it is fun, but it’s not worth buying unless you’re a diehard fan of the anime series. If you’re a big fan, you’ll probably enjoy these series, but this is not really for newcomers. The movies are very expensive and it’s not worth the price tag when you can buy the original series for just a few dollars more. I only bought the anime film trilogy because Code Geass is one of my favorite anime. I will recommend buying Code Geass: Lelouch of the Rebellion (2006) and then trying to rent the films if you can. They’re worth renting at least since it's only $3.99 for the HD rental and if you enjoyed the franchise you’ll definitely want to own them, I would just recommend buying used instead of new, it’s cheaper and good for the environment.